You’d have to be pretty ballsy in this day and age to go hunting African animals and proudly chuck up a photo of your trophies on social media. You’re essentially begging the world to criticise you because many people recognise that killing these beasts is not on. So it’s no surprise that two hunters who were snapped standing next to an elephant they just shot are getting roasted online. The unknown men’s photo was uploaded onto Instagram by animal conservationist Damian Aspinall, who wrote: “There are few things more reprehensible than trophy hunting. 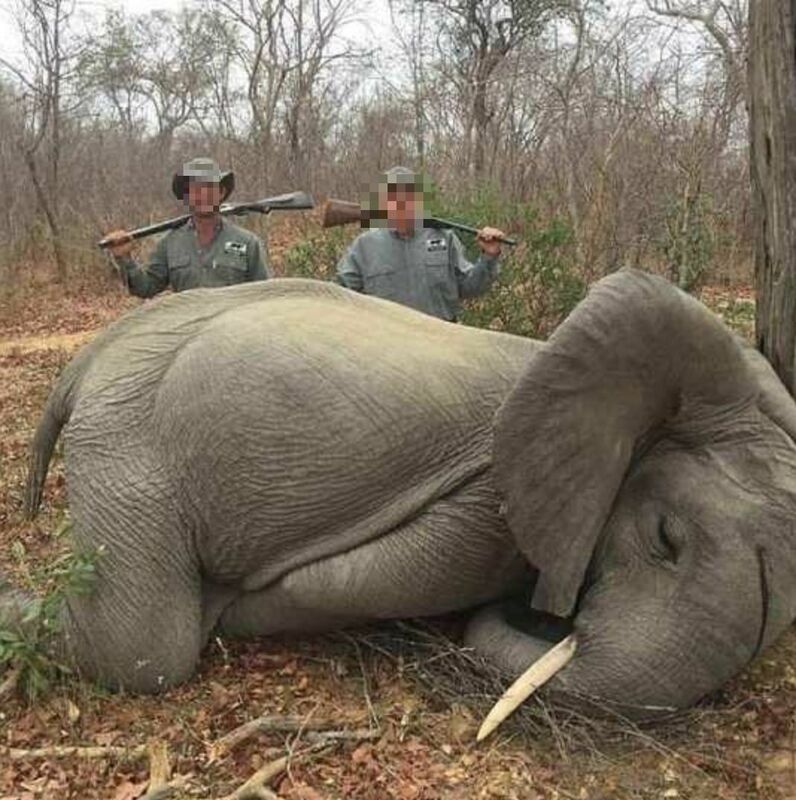 These two monsters shot not just one, but two young elephants in ‘self defence’. People have been quick to slam the hunters for killing a defenceless animal for nothing better than sport. According to the Mirror, the hunters were acting in self defence when they shot the animal. But it’s still beggars belief why you’d pose next to it, smiling no less, proudly sporting your rifles. Animal poaching has had huge detrimental effects on elephants, with some species evolving to not grow tusks in order to avoid being killed. National Geographic reported on the discovery, stating that during the Mozambican Civil War – which raged from 1977 to 1992 – 90 percent of the 4,000 elephants at the nation’s Gorongosa National Park were killed so that their ivory could be used to exchange for weapons and their meat to feed soldiers. Fast forward to the present day and research conducted by National Geographic explorer who studies the park’s pachyderms, Joyce Poole, has found that around a third of the females from the generation born after the war ended are tuskless – a trait that appears to have been passed on from the adults who survived the war and are tuskless themselves. 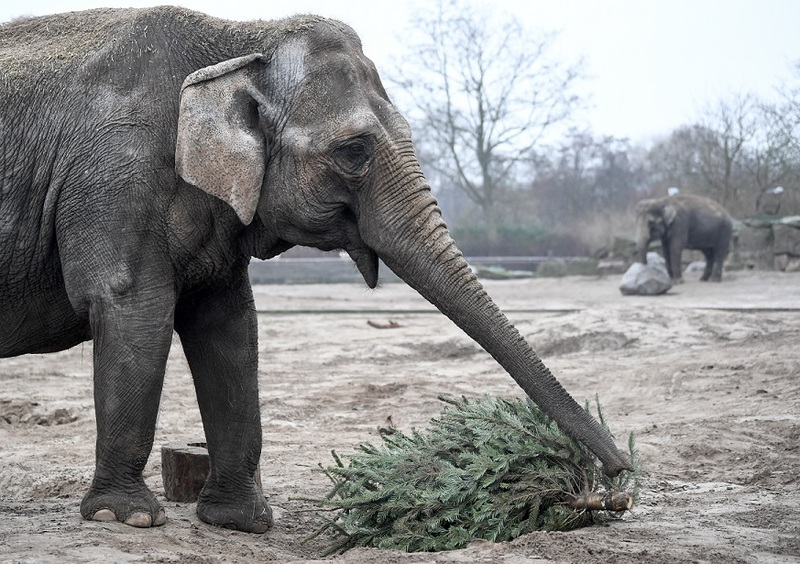 For a bit of context, normally only around two to four percent of female African elephants would be born without tusks, so this is quite the jump. This needs to end.